This quote sums up exactly how I feel about drinking tea. I grew up drinking tea, it was a form of medicine and an everyday life expectation. My mom and my grandma would never let me off to school without drinking tea. Whenever I feel ill (of any kind) the first remedy is a cup of tea. It likely has to do with our British influence growing up in Jamaica but, the tradition has never left me. With that said my loves, today I want to share with you one of my favorite brand of teas, Traditional Medicinals and they make #teaforall. I'm especially fond of their take to educate their customers about the power of plants to help people live naturally healthy lives. 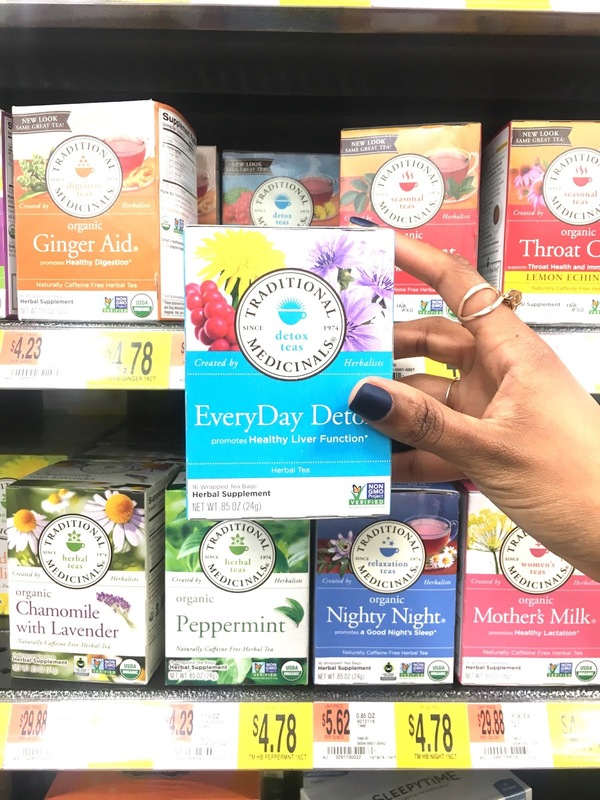 They carry over 50 different flavors and I'm currently obsessed with the EveryDay Detox blend which has a complex blend of five different taste (sweet, sour, bitter, pungent and salty+roasted). Oh, and it smells so divine. I love when my cup is brewing or when I raise my cup for a sip, I laud in the amazing scent. The EveryDay Detox blend promotes healthy Liver function and for me, coming off the holidays, I really wanted to give my body some extra help. Another reason to love Traditional medicinals, I'm obsessed with postivie quotes. A cup of tea is a good pair for a good book. The combination of hot tea and getting lost in a good book makes me one happy gal. I guess we all have our rituals right? 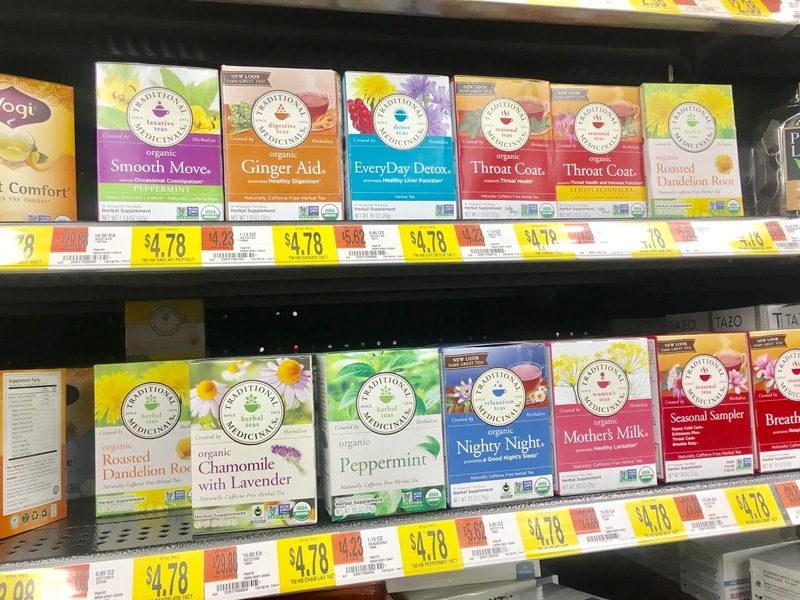 I always get my Traditional Medicinals teas at my local Walmart in the tea aisle (sometimes in coffee aisle) and as you can see, they are highly affordable and a slew of blends. You can also win $250 Walmart gift card so go ahead and enter below. I'm curious to know if you are a tea drinker and if you have tried Traditional Medicinals and what is your favorite blend. I never tried one! But after your post I will consider to try a detox tea! Sounds so good!! Hello dear, I love these teas. I've tried several of them before! They are so fab! I have honestly never tried detox tea but I will have to try it . You totally convinced me. OMG I Love this brand!! Traditional Medicinals is my favorite tea brand. I love the throat coat and the peppermint tea the best. I drink it almost everyday. I love their wide variety of selections!! I love this brand. I use one called smooth move helps clean everything out the system. I'm look into trying others. I have always believe in traditional medicinals specially this brand that have the most delicious tea flavours. I cannot agree with you more! I drink tea in the morning and before going to bed and I wouldn't change my choice for anything else! Love this post, and love all this tea! Yum! I love this brand! There teas are super super great!